The latest basketball video game released by 2K Sports, NBA 2K17, is available now. The titular basketball simulation video game has brought its fans to a whole new level, offering a number of new features. The NBA 2K17 Dynamic Duo system has been praised by many fans. Capitalizing on the real-life friendship and chemistry between certain teammates, this new feature showcases their skills in the video game. It’s a fun thing to add to the series and should please any NBA fan who picked up this basketball simulator. 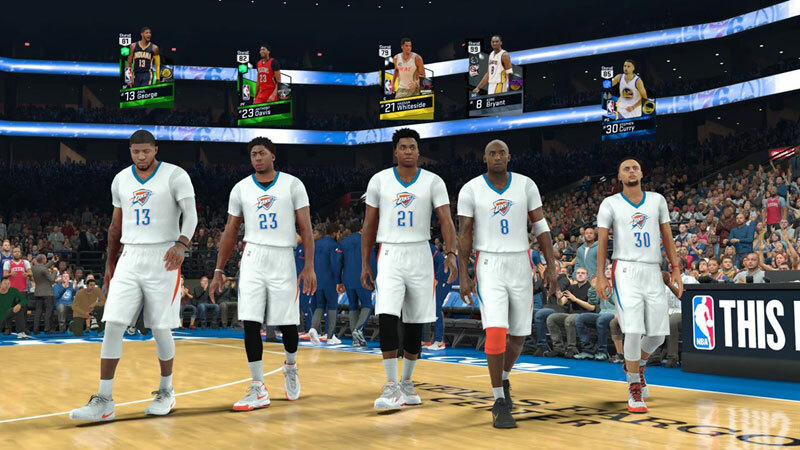 When the game was released, there were a number of Dynamic Duo teams already in the game. Fans figured that there would be more added to the title and that is what seemingly happened. Now there are even more Dynamic Duo teams that can be used in the basketball title. A fan on Imgur has posted all of the new teams that are now part of the NBA 2K17 Dynamic Duo system. It should let fans experiment with the game more and perhaps there will be even more of these in future updates. Now that these teams have been revealed, it will be neat to see how often they’re used by players. NBA 2K17 has provided a great experience for fans of the sport, though there are still a few adjustments that have to be made. The shot meter still needs work and the developers had to point out how to earn some of the game’s Grand Badges. Basketball has always been a team sport, so this feature and even more teams should reinforce that message. Since the sport is constantly evolving, it will be fun to witness more duos added in the near future. The NBA 2K17 Dynamic Duo is a great feature and one that fans will remember fondly about the game. NBA 2K17 is available now on PS4, PS3, Xbox One, Xbox 360 and Windows PC. Fans have the option to get a standard or legendary edition of the game.